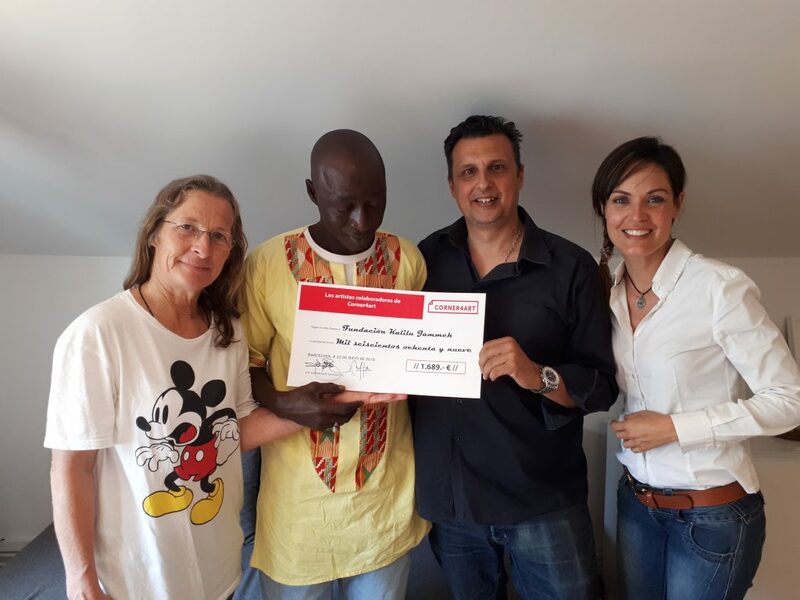 We are thrilled to announce that Corner4art artists have raised 1.689€ to collaborate with Fundació Kalilu Jammeh projects! Cornerartists have donated their artworks to the charity auction that was run this month in which all benefits are destined to Kalilu Jammeh Foundation. Through their artworks each artists has shown their solidarity with the great actions that the foundation is undertaking in The Gambia. Kalilu Jammeh Foundation aims to prevent emigration of Gambians by developing and stimulating the social economy of their country as well as by creating work opportunities so they don’t have to emigrate. The foundation implements Educational, Agriculture and Health projects in The Gambia, mainly in the rural area of Upper Baddibu of the North Bank Division. After launching the Foundation in 2016, Kalilu wrote the book Journey of Misery [El viaje de Kalilu] to explain the whole truth about his terrible journey to Europe looking for a supposed Paradise that so many young Africans undertake. The money raised with the charity auction will go to a project that consists on building a house for Ami Kebbeh, a teacher that comes from far to be able to teach in the only school in Jirong. The house will host eight kids and also people taking care of them. Education for Peace it is the only Kindergarden in Jirong and was created by Kalilu’s foundation in the village they have rebuilt and repopulated in the lasts years. This entry was posted in Corner4art Gallery. Bookmark the permalink.